By Sindhu Nathan: Gone are the days when woman was the homemaker and man the bread-winner. In today’s competitive world where Darwin’s policy of “survival of the fittest” exists, everybody is running around to get a better living for a good future. Along with being neck-to-neck with men at the working place, today’s women are also being more health conscious and fitness savvy. Today’s women strongly believe that in a healthy body lives a healthy mind. 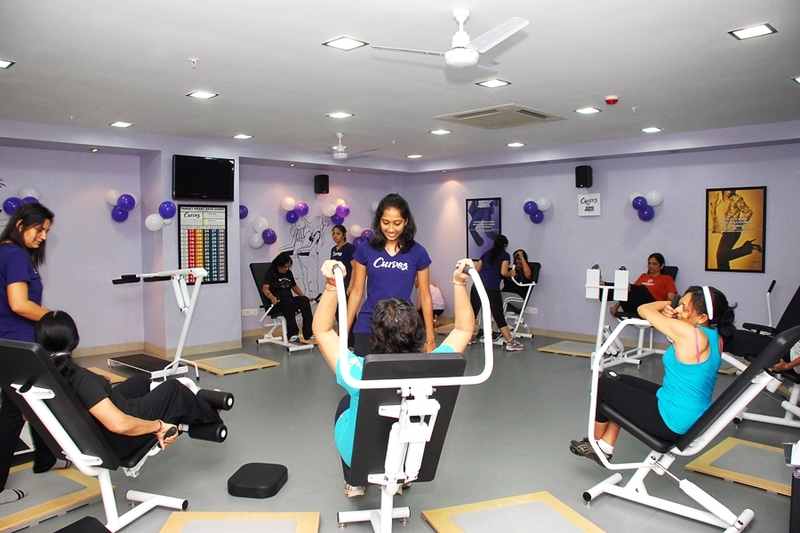 Gyms give a clear picture of this changing trend. Today, there are as many women as men working out and living the concept of fitness. The importance of looking good and presentable is in sync with today’s working women and housewives. Women of all ages and sizes are realizing the benefits of getting into and staying in shape. Physicians are recommending weightbearing exercises for women of all ages. The most common issues of osteoporosis and other problems related to thinning of bones and muscles with older women is decelerating in those who engage in weight bearing fitness routines. Pilates and yoga to help strengthen and stretch the joints is gaining popularity among women due to its cost effectiveness. Even pregnant women are told to not stop their exercise routines during the pregnancy, but to be cautious and to follow doctor’s recommendations. Kick boxing and aerobic classes are also very popular nowadays. Self-defense techniques for protection are more than necessary in today’s world. Self-defense training and boxing make women feel empowered and in control. Karate and Tai Chi routines also find place on the women’s favorite list. Strenuous ways are not the only way to be fit. Enjoyment and being in shape is another form of female fitness exercises. Moving your body to the beats of music with dance exercises and losing calories is the best way to be in shape for those who hate monotonous solutions to being fit. Zumba dance form provides a great workout while having fun dancing and moving the entire body. For women, who are keen on toning the body’s core and slim the waist, Hula-hoop classes are the answer. Nia classes blend yoga, martial arts and dance into a holistic workout that is mental as well as physical. Cycling classes are a great workout too for both men and women. Today’s woman is beautiful, intelligent, and independent who define her ideal self. She is breaking free from stereotypes. She is writing her own rules and is making her presence felt everywhere. This is the new-age women who has finally arrived and is here to stay.